1. The Ohio State Bar Association (OSBA) is sponsoring a Construction Law Forum on Wednesday, September 5, 2012 in Cleveland-live via simulcast (The Ritz Carlton, 1515 W. 3rd St., 44113) and Columbus--live and via webcast (OSBA offices, 1700 Lake Shore Drive, 43204). Click here to access the OSBA's seminars. 2. 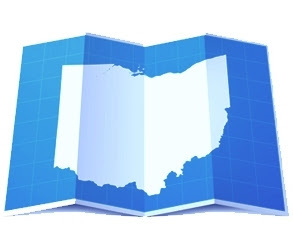 Foxmoor Continuing Education is sponsoring a seminar titled "Ohio Easements: Rights of Way and Other Encumbrances" on Wednesday, September 19, 2012 in Columbus (Crowne Plaza Columbus North, 6500 Doubletree Ave.; 614-885-1885) and Thursday, September 20, 2012 in Cleveland (Hilton Garden Inn Cleveland Airport, 4900 Emerald Court SW, 44135; 216-898-1898). Click here for more information. 3. National Business Institute (NBI) is sponsoring a seminar titled "Real Property Foreclosure: A Step By Step Workshop" on Tuesday, September 11, 2012 in Worthington (Holiday Inn Hotel Worthington, 7007 N. High St.; 614-436-0700) and on Wednesday October 3, 2012 in Cincinnati (The Phoenix, 812 Race St.; 513-721-8901). Click here for more information on the seminar in Worthington and here for more information on the seminar in Cincinnati.